Hi, I cant get my pc to use normal.dotm as the template for new documents. If I delete normal.dotm and the start word it creates a file called 'normal' with no suffix. If I rename normal to normal.dotm it then creates a new 'normal' template. The file location looks correct (word, options, advanced file locations). I'm stumped, I cant find a normal in any other library. What version of Word are you using. If you use a later version of Word then I can't say. thanks for this, Its word 2016. and the file is stored in the same library as it was in 2010. I can see in the library there is a normal, no suffix file, but no normal.dotm. Sorry but I don't understand your reference to "library". 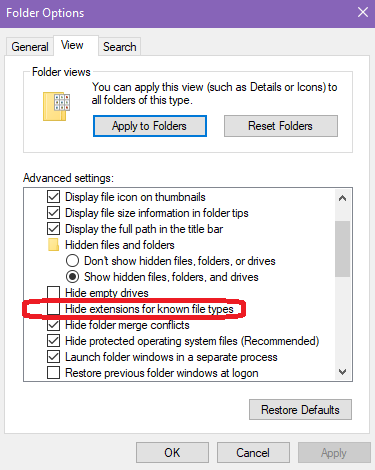 If you are trying to find it in Windows File Explorer the the default is not to show file extensions so "normal.dotm" would only show as "normal". To see extensions go to File Explorer\View and ensure File Name Extensions is ticked on the ribbon. Sorry if I am going up the wrong path. Thanks for your suggestions. The problem is now sorted. What is 977 + 656 ?